Congratulations! 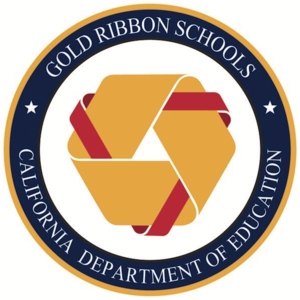 I am pleased to inform you that Woodrow Wilson Elementary School has successfully completed the California Gold Ribbon Schools Program application process and is being recognized as one of our 772 California Gold Ribbon Schools for 2016. The award reflects your school’s success in creating a positive learning atmosphere for your students. Such success is a direct result of your dedicated, creative, and talented staff, and your supportive school community. This year we will honor the 2016 Gold Ribbon Elementary Schools along with the Exemplary Program recipients, Title I Academic Achieving Schools, 2016 Green Ribbon Schools, 2016 Civic Learning Award Schools, and the National Blue Ribbon Honorees from 2015.